Provence isn't just sipping rosé and frolicking through fields of lavender. 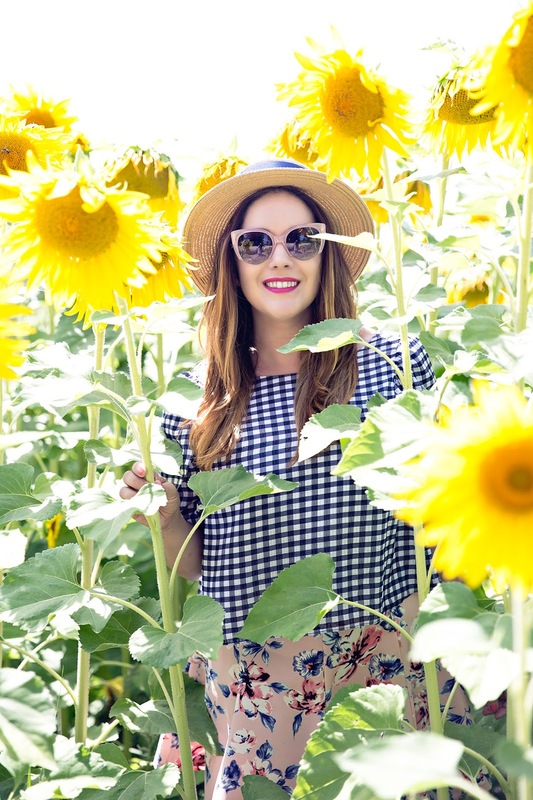 There are so many amazing and historical towns to explore... oh and fields of sunflowers too. After our road trip through the lavender fields and tiny hilltop towns of the region, Emily and I headed out to explore the cities of Avignon and Orange (you can see our road trip map here). 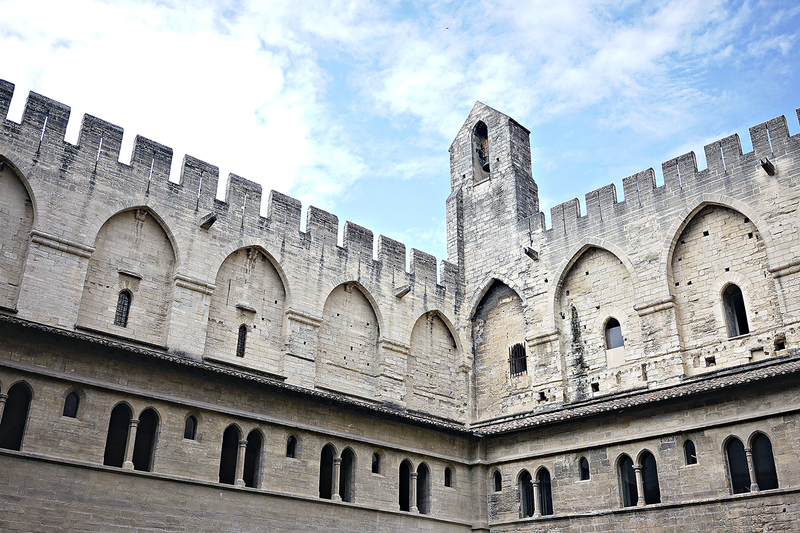 The history nerd in me has always wanted to visit Avignon. What can I say, I have a soft spot for papal history. I will be honest though, the town as a whole didn't wow me. Exploring the papal palace was so interesting, but the city felt a little dingy and full of tourist. So, after we had seen the papal palace, bridge, and old city walls, Em and I decided to head to Orange for lunch. Orange had all of the color and charm Avignon seemed to be missing. 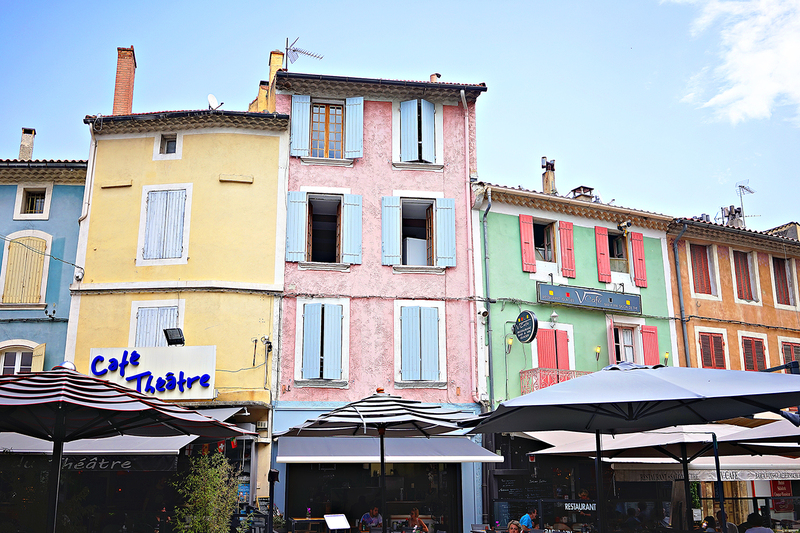 So many colorful buildings, bustling squares, and interesting cafes. The city was a Roman town and still has an ancient theater, which is well worth a visit. After exploring Orange for the afternoon, we hopped back in our rental car and decided to head south to see the wild horses of Camargue. Sadly we did not do enough research beforehand (we did it on a whim) and the excursion was a bust. We saw just a couple of not-so-wild Camargue horses in a pasture. 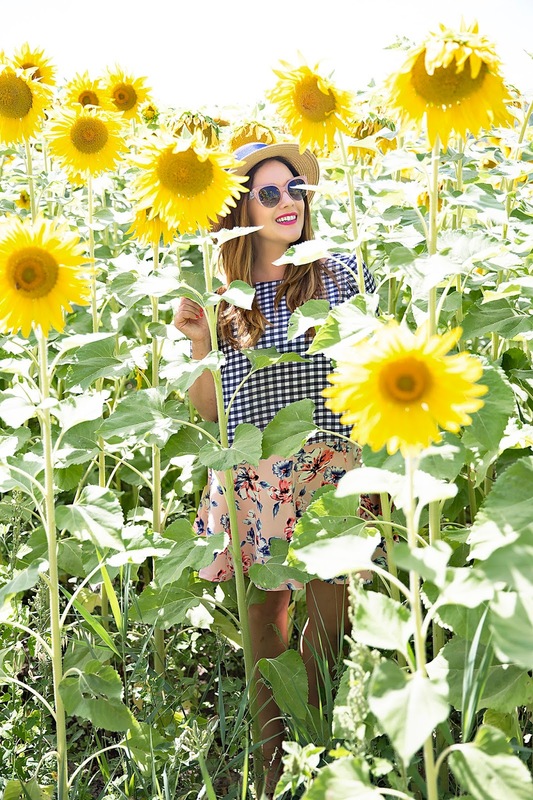 But, on our way to the nature preserve, we stumbled on the most glorious fields of sunflowers. Accessing them required some off roading and a bit of trespassing, but as you can see it was totally worth it. This day was one of the hottest of our trip. So I opted for this amazingly breezing and super comfortable Club Monaco top, which is now on sale and an extra 40% off (with code KEEPCOOL)! 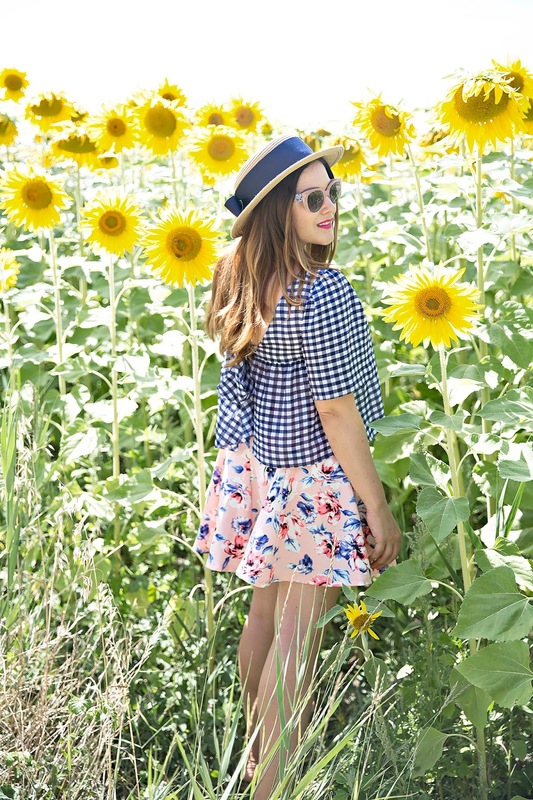 And since I am always trying to get the most out of my clothing when I travel, I had some fun with a bit of pattern play and mixed the gingham top with my favorite floral skirt (here are some tips for mastering pattern play here). This skirt is another amazing find and it has been on repeat all summer. The brand is Lush from Nordstrom (many Lush items are included in the Anniversary Sale). It is lightweight, comfortable, and cute. It is no longer available, but a newer version for fall is here (and would look super cute with this top)! Have you visited Provence? What was your favorite city?